Jony Ive wasn’t always Jony Ive, Apple design God. At one point, he was just a young British designer trying to get by. However, Ive was a precocious design talent, and from a young age, he was racking up awards for his design work. 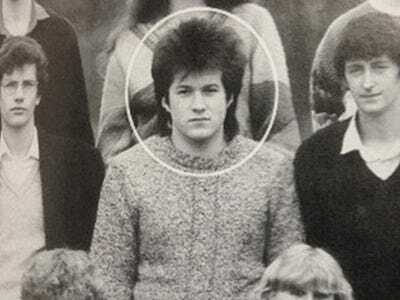 Leander Kahney’s, JONY IVE, The Genius Behind Apple’s Greatest Products, which is now out in paperback sheds new light on some of Ive’s earliest works. We got permission from the book’s publisher to run photos of some of that work. 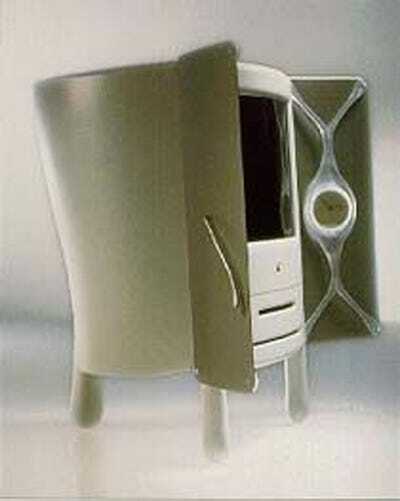 While Apple products today have a certain look and feel to them, Ive’s early work doesn’t really have a signature to it. That said, the works turned heads. 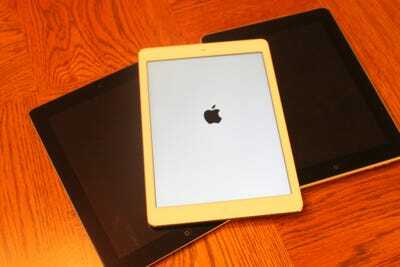 They were so good that Apple’s design leader Bob Brunner spent years recruiting Ive. Eventually he landed Ive, and the rest is history. 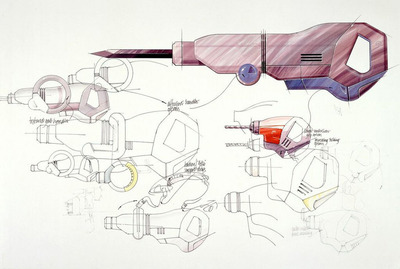 Here’s a look at the early work, and the evolution of Ive’s style. This is a sketch of concept for an electric pen that could write in different widths and patterns. Ive made this as an intern. 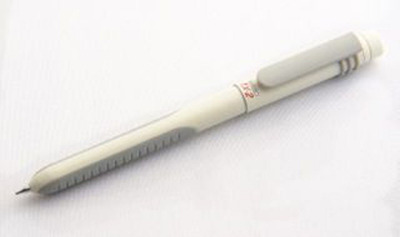 It is the TX2 pen, and its big feature is a ball and clip at the top designed for people to fiddle around with. Ive realised people like to fiddle with their pens, so he encouraged it in the design. 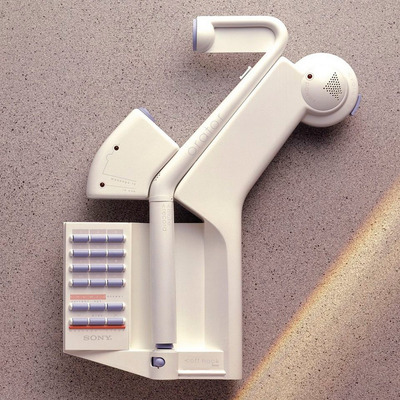 Ive won an award in the 80s for this futuristic design of the landline phone, which he called the 'Orator.' He won money from the British government to travel abroad as a result of this design. Here's another sketch from Ive, this time for a power drill. Ive likes to say he's not good at drawing, but he is actually quite talented. 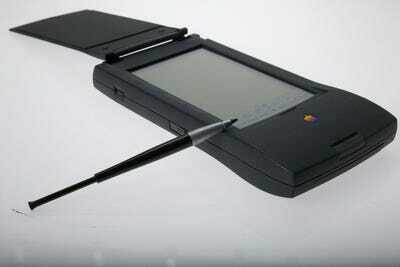 Jony Ive's first project at Apple: The Lindy MessagePad. He won a bunch of awards. The flip cover was his favourite part of the design. Here you can see Ive starting to experiment with translucent plastic. This is a prototype of the Lindy Messagepad that was never made. 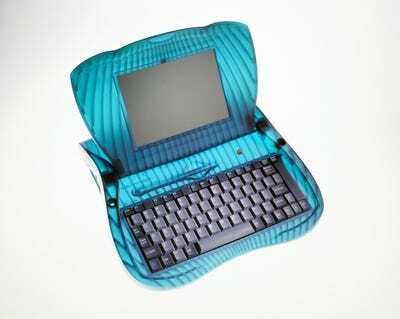 This is Apple's first translucent product, the eMate. Ive thought this sort of plastic made the computer feel less intimidating. 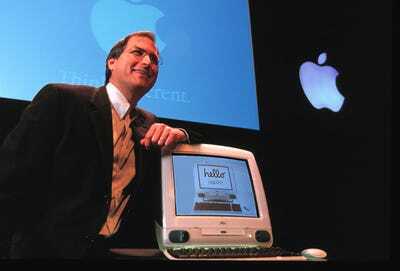 This was the 20th anniversary Mac, which Ive designed. It was supposed to be a low-key computer for the home. It won awards, but it was priced at $9,000 and it bombed in the market. 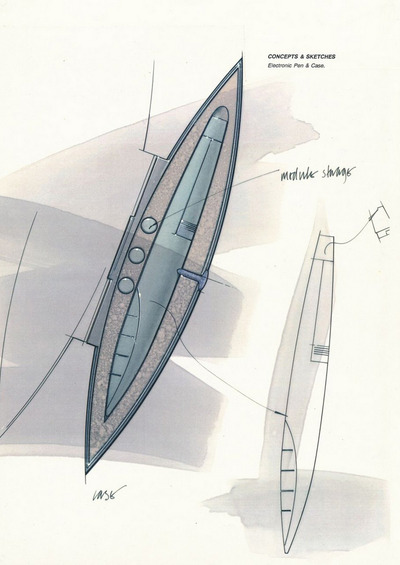 This was a concept design from Ive for a Mac. The idea was that the doors could close and it would be less of a computer, and more ornamental. 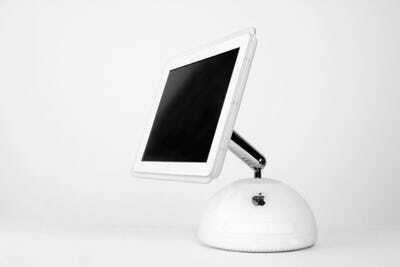 Eventually, Steve Jobs returned to Apple, and Ive's design work became iconic, starting with the iMac. 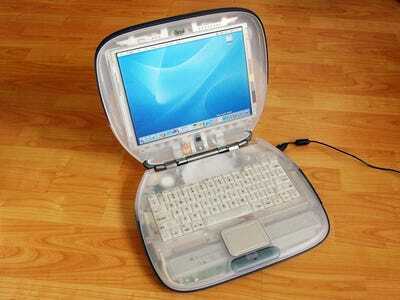 Following the iMac, Apple did the iBook. 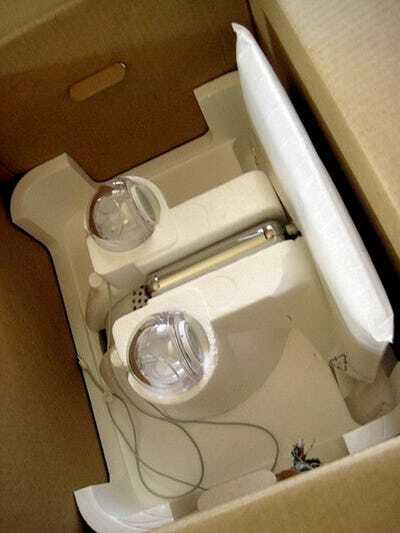 Ive used translucent plastic for both products. 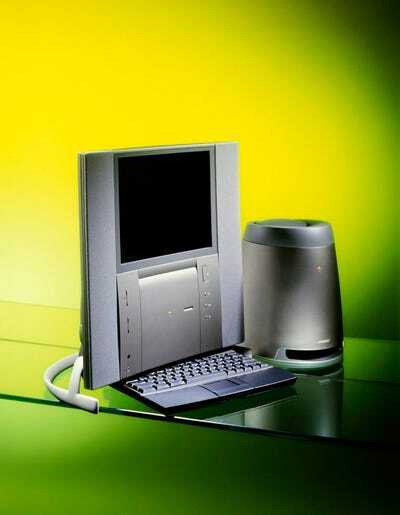 Next, they designed the Power Mac cube, which was highly regarded for its design, but was a commercial flop. Here's an early prototype. Ive doesn't just design the outside of things. He also does the inside. 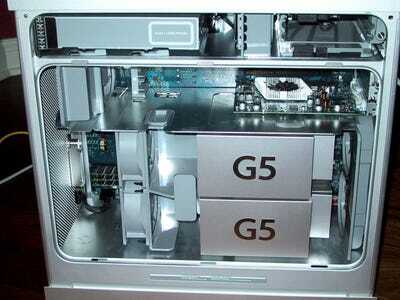 When Apple made the Power Mac G5, Ive's team designed the innards of the computer because users would see them. 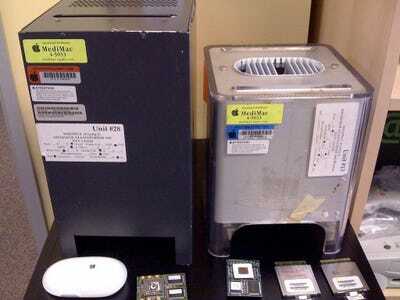 This iMac was one of most beautiful computers ever. 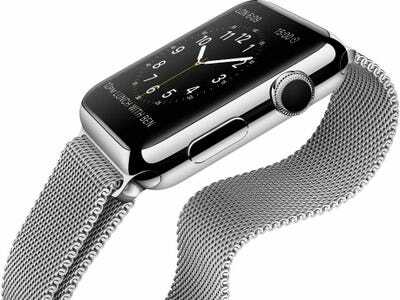 The real challenge was designing the neck so that the screen appeared to magically float. Ive's team also designed the packaging for the iMac. As a joke, they made it so that when a consumer opened the computer he/she would see the shape of male genitalia. And, finally, though you've already seen these alot, we'll just toss in some of the most recent work. 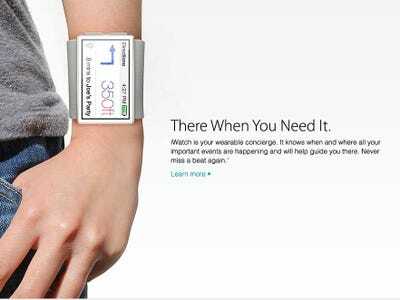 Finally, here's the Apple Watch, Ive's latest design work. 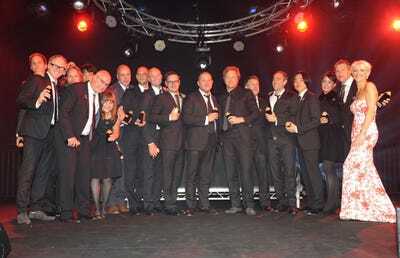 Importantly, while a lot of the credit accrues to Ive, the truth is that these were all team efforts. This is Apple's design team. They *really* run Apple.